Or who can hurt who the most, no. Never should be that way at all. Happenin' day after day, yeah. Workin' in the strangest ways. I still love you just the same. I miss your smile and that sparkle in your eye. You're so beautiful, never change. What shall be shall be, yeah. Do you believe, can you believe? Workin' in the strangest ways, yeah. Now it really don't matter who gets the best of who. It never did and never will. It was never meant for it to be that way. Why must it be that way at all? Workin' in the, workin' in the strangest ways. That's the way it is, that's the way that it goes, yeah. Yeah. That's the way it is, that's the way that it goes. That's the way it is, that's the way that it goes. Can you believe, do you believe? That's the way it is, that's the way it goes. 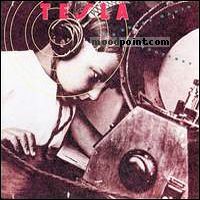 if you want to see other song lyrics from "The Great Radio Controversy" album, click "Tesla Singer" and search album songs from the artist page. If you know some new information about The Way It Is, or other song from our site, that isn’t already on song page, please let us know, Any refinement, news, or comment is appreciated. If information about The Way It Is, or any song from moodpoint directory is wrong, please contact us and write where the incorrect data should be replaced by correct data. Use "Find Lyrics" box on our site, try to use different artist or (and) song title(ex: The Way It Is) word forms.